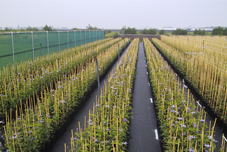 Greentrade Boskoop BV is a trading-company which specializes in the buying and selling of ornamental nursery-stock. 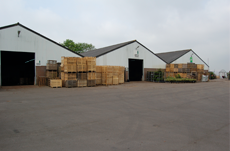 In 1995 we started our company and since then we are busy supplying first-quality deciduous and evergreen trees and shrubs to wholesale nuseries, garden-centres, cash- and carry centres, mail order firms and landscape-contractors. The amenity trade has become an important part of our activities. We supply plant-material from A to Z. If requested we deliver directly to the contractor's sites. Austria, Germany and the Netherlands were originally our most important markets. In 2007 the export-company Cultiflora Boskoop BV amalgamated with Greentrade Boskoop BV giving us the opportunity to operate in the Brithish, French and Scandinavian markets. Beyond these countries we want to be of service to all buyers in Europe. In our own nurseries we grow unique varieties of Clematis, a large selection of Kalmia varieties, Magnolias, and shrubs in 3 Liter and 5 Liter pots. A speciality is the growing of large-fruiting Cornus mas. Situated in the Boskoop region (with some 800 growers) it enables us to make offers and execute orders promptly. Our effort is to supply a quality tree or shrub at a competative price to the right destination. We cordially invite you to visit us, or else, contact us by telephone or e-mail.